I remember the first release of BPEL Process Manager in the Oracle Application Server architecture. It was 10.1.2. Before that there was a first global available version (I believe it was called version 2.0). The 10.1.2 release came with a developer install with a very specific version of JDeveloper with the BPEL designer. From 10.1.3 and onwards, the SoaSuite (BPEL,ESB) designers were add-ons. The idea was that with every JDeveloper you could perform SoaSuite-development. But the advice to keep up the JDeveloper version with the SoaSuite version was kept (use JDeveloper 10.1.3.5 with SoaSuite 10.1.3.5). This week I started preparing the OPN Bootcamp on SoaSuite 11g, that I'm to give in january (from 12th to 14th in De Meern, The Netherlands, see here). I got a prepared Virtual Machine with SoaSuite 11g installed. But it is a one-cpu 2GB VM (that I could give it more memory of course), and I would like to have my sources outside the VM. So for performance and development convenience I choose to install a seperate JDeveloper. Of course I went for the latest version (11.1.1.2, downloaded here). But I got connection failures at configuring the Application Server connection. Struggled with it for a few hours (in between struggling with another problem, though), disabling firewalls, googling around. But no clues. This morning with fresh curage I thought:lets not be too stubborn and try the suggested version of JDeveloper (11.1.1.1). The Soa-Infra version was: v11.1.1.0.0 - 11.1.1.1.0, according to the soa-infra page. The great thing about Jdeveloper 11g is that the studio-download is about 1GB. 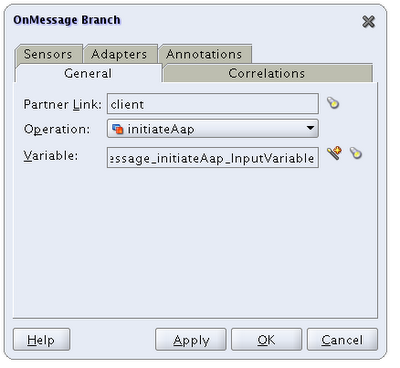 And having installed it, you have to download the SOA Composite editor separately via the Help>Update-functionality. It's about an addtional 230MB. And I found JDeveloper 10.1.3.x with about 700MB large already (Soa-designers included)! But turns out to solve the problem. So no backwards-compatibility. Tight version coupling. So if you run into connection problems between Jdeveloper 11g and SoaSuite, just check the version numbers. 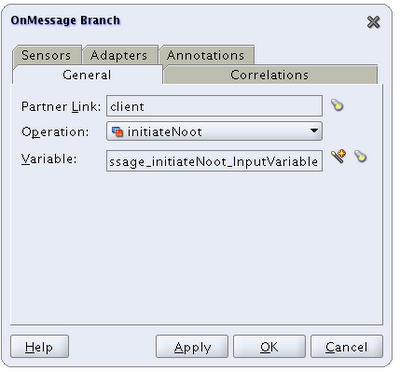 Oh, and if you like to join the OPN Bootcamp in january, check out the enablement pages. The course can be given in English if required. I'm a frequent VMware user for years. Most of my setups are done in a Virtual Machine. It's very convenient because with a new host installation, just installing VMware and restoring the virtual machines gets you up and running. One of the names that comes around on Virtualization on Linux is VirtualBox. I did not pay any attention to it since I was quite happy with VMware. I use VMware Server, since it's free and has about every feature VMware Workstation had in the latest version I used. That was Workstation 5.5 and the only thing Server lacked was Shared Folders. But products evolve. And Server has become quite big. I found it quite a step to turn from 1.x to 2.0 since the footprint increased about 5 times! From 100MB to about 500MB. Last week my colleague Erik asked me if I knew VirtualBox. I said I did, that is by name. A colleague on his project advised him to go for VirtualBox. So I thought I might give it a try. it's about 40MB! That is very small for such a complete product. I like that. I'm fond of small but feature-rich products, like TotalCommander, Xtrans and IrfanView on Windows. Apparently there are still programmers that go for smart and compact products. I found articles on internet that it would be faster then VMware. I also found statements that suggest it is slower. But on a simple laptop, performance would be the decision forcing feature. 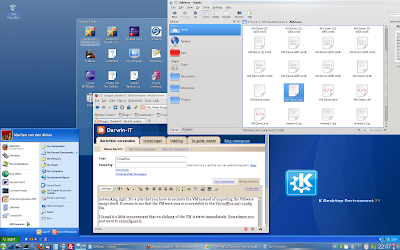 Seamless mode: VirtualBox can have the applications run in a seperate window along with the native applications on your host. It layers the taskbar on top of the taskbar of your host. Looks neat! Shared Folders: this was the differating feature between Server and Workstation. I solved that lack by installing a Filezilla Server on the Windows Hosts, or using SFTP over SSH on Linux. But it is handy to have that feature. It's a client/standalone app: it may seem like a nonsense feature. But VMware Server comes with an Apache Tomcat application server that serves the infrastructure application. That's nice for a server based application, but on a laptop quite over done. 3D Acceleration: this summer I wanted to run a Windows racing game under VMware. It didn't do it. I should try it under VirtualBox with 3D acceleration on. But the important feature to have it work for me is that it should be able to run or import VMware images. It turns out that it cannot. You have to create a new VirtualBox image. But luckily you can base it on the virtual disks of a VMware image. Below I tell you how. What I did not know was that Sun Microsystems acquired Innotek last year (2008). And since Oracle is in the run to buy Sun, Oracle gets this Virtualizing tool also. Another crown-jewel I could say. 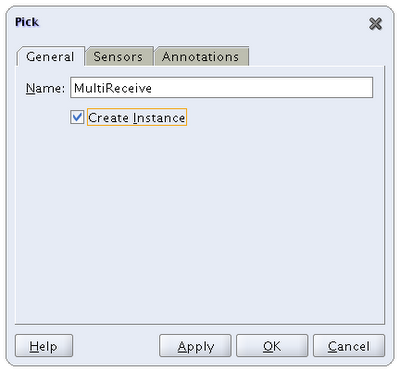 Since Oracle does have a VM tool but it is not a desktop tool. Oracle's VM has to run on the 'bare metal'. Install VirtualBox: download it from http://www.virtualbox.org/wiki/Downloads. Mark that there is an Open Source and a Closed Source version. Both free, but the Closed Source is the most feature-rich. Importing and exporting is only available in the closed source version. The Open Source is apparently available in many Linux Repositories. But I went for the Closed Source. Then you can Create a new VirtualMachine in VirtualBox. You can find an how-to with screen-dumps here. For the harddisks use the existing disks of your VMware image. If the VM is a Windows Guest, the disks are probably IDE disks. You could try to use SATA as an Additional Controller (check the checkbox) and couple them to a SATA channel in order of the disks. Denote the first one bootable. If it is a Linux guest the disks are probably SCSI- LsiLogic, so choose SCSI as additional disk. In this case it is for a 32-bit Linux. For 64-bit Linux guests it should be the amd64 variant. After the install you should restart the guest. Then you can reconfigure your display type (resolution, color-depth) and the network adapters. Well my first experiences are pretty positive. It is sometimes a struggle to get the display and the networking right. It's a pity that you have to recreate the VM instead of importing the VMware image itself. It seems to me that the VMware vmx is convertable to the VirtualBox xml-config file. I found it a little inconvenient that on clicking of the VM it starts immediately. Sometimes you just want to reconfigure it. I have to experience the peformance still. So I don't know yet if VirtualBox on this is an advantage. But the Seamless mode is really neat. With VMWare Server 2.0 you can start and stop VM's using the VMware Infrastructure Web Access application. This is a replacement of the vmware console in VMWare Server 1.0. 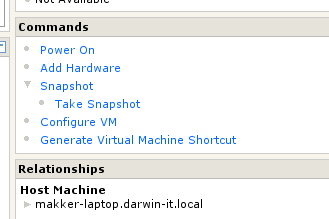 The console is now a control in the console tab of the Virtual Machine in the Web Access. You have to click in the black area and the console will pop-up. If you're a user of Vmware Server 2.0 or other similar VMWare apps, you probably already know this. What I recently found though is the ability to create a short cut on your desktop to a particular VM. This handy because it pops up the console where you can log in with your VMWare Administrator account and then the VM will start. From the console you can also suspend or stop using the Remote/Troubleshoot menu. Follow the instructions and you get an Icon with the shortcut on your desktop. Today I struggled with WSIF using the WSIF-chapter in the BPEL Cookbook. WSIF stands for Webservice Invocation Framework and is an Apache technology that enables a Java service call to be described in a WSDL (Webservice Definition Language). 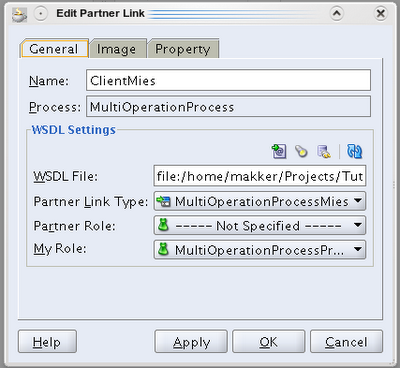 The WSDL describes how the request and response documents map to the input and output objects of the java-service-call and how the Soap operation binds to the java-method-call. 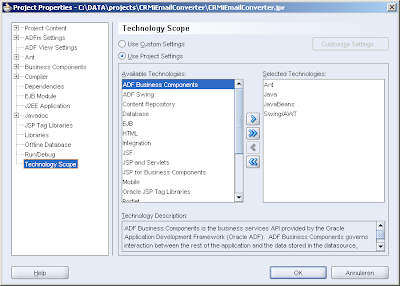 BPEL Process Manager supports several java-technologies to be called using WSIF. 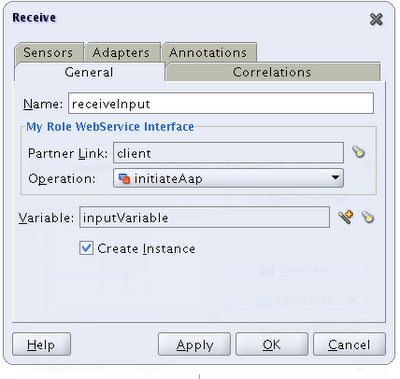 The advantage for using WSIF is that from BPEL perspective it works exactly the same as with Webservices. 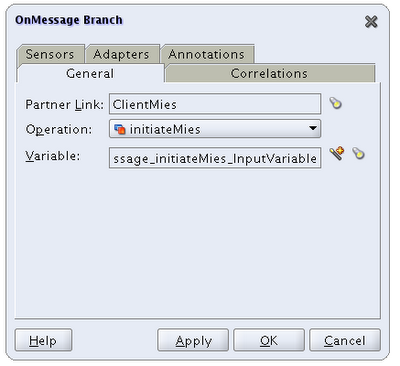 The functional definition part of the WSDL (the schema’s, message definitions and the ports) are the same. The differences are in the implementation parts. In stead of using SOAP over HTTP the BPEL PM will directly call the java-service. The performance is then about the same as with calling java from embedded java. The BPELP PM has to be able to call the java-libraries. They have to be in the class path. Altough the chapter "Using WSIF for Integration" from the bpel-cookbook, quite clearly states how to work out the java callout from BPEL, I still ran into some strugglings. 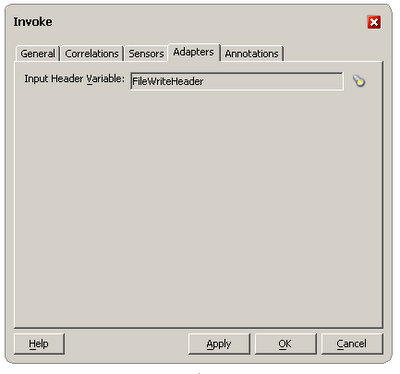 The -sourceOut parameter will take care of creating source files in the denoted folder. 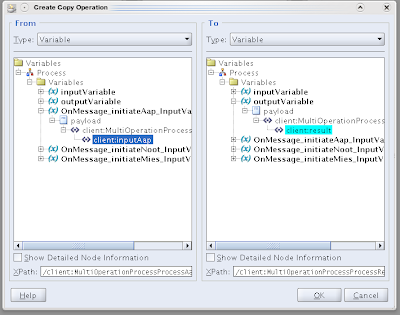 The -noCompile folder will cause the utility not to compile the classes. You could also use the -jar option to jar the compiled classes into a jar-file, what essentially my goal is (but then you should omit the -noCompile option presumably). Also you could add a -classpath <path> option to denote a classpath. So with this information you could expand the schemac command above to compile the classes into a jar-file. 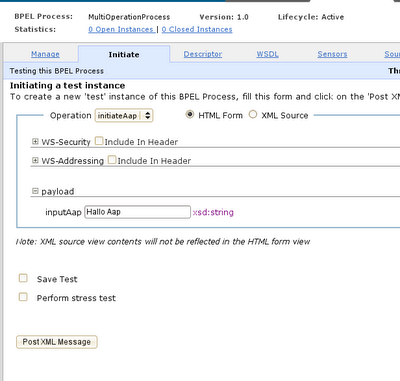 But the XML Facade classes are to be used in a java implementation class that is to be called from BPEL PM using WSIF. And since it is one project where the facades are strictly for the implementing java class I want them shipped within the same jar file as my custom-code. That way I have to deliver only one jar file to the test and production servers. So I still do not want the schemac utility to compile and jar my XML Facade classes. To automate this I created an ant file. To be able to use ant within your project it is handy to use the ANT technology scope. 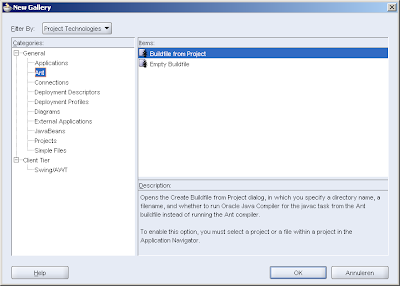 That way you're able to let JDeveloper generate an Ant-build-file based on your project. (I also added some other properties I'll use later on). Mark that the bpel home (for 10.1.2) is in the "integration\orabpel" sub-folder of the oracle-home. This target first creates a directory where the classes are generated into (if it does not exist yet) and then delete files that are generated in that directory within an earlier iteration. This is to cleanup classes that became obsolete because of XSD changes. 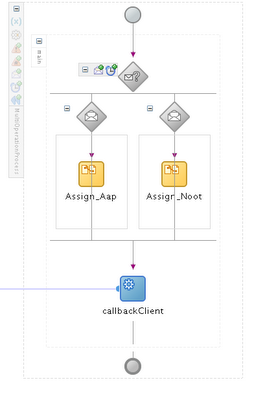 Then it does the schemac task that is defined earlier in the project. 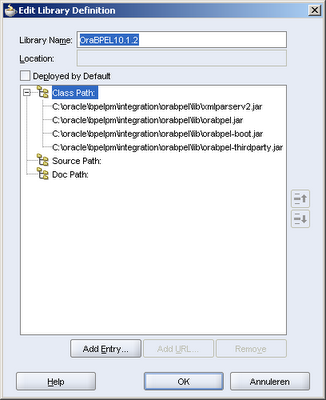 You can now implement your java code as suggested in the BPEL Cookbook. After that you want to compile and jar the project files. Because it is sometimes handy to compile/build within JDeveloper it is safe to also set the java-compile-version properties in the project-properties.